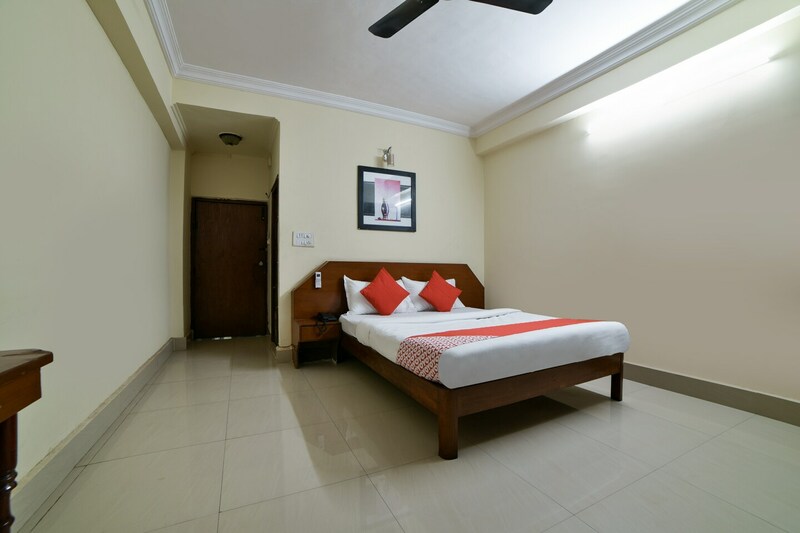 Rainbow Sapphire is an ideal choice for travellers visiting Hyderabad. Rooms are bright and warm. They are decorated with comfortable wooden furniture for a relaxing stay. Wall decor is minimalist with artistic paintings adorning them. The dining area is also a well-designed space where guests can enjoy delicious meals. The presence of CCTV cameras in the premises ensures safe and secure stay. Free Wi-Fi is also offered here to stay connected with social media accounts or catch up with work. For the convenience of your stay, power backup, elevator and parking space are also offered by the hotel. The hotel is surrounded by various restaurants where you can dine out.